The Funeral of Lance Corporal Samuel Arnold Melling, third son of Mr. Samuel Melling, J.P of Wigan, took place on Monday, the internment being at the Wigan Cemetery. Lance Corporal Melling who died at the family residence, "The Sycamores", Wigan Lane Wigan on Thursday morning last week, went out to Australia some three years ago to take up farming, and on the outbreak of war he joined the Australian contingent, coming over wit the force whose exploits at the Dardanelles made that part of the Gallipoli Peninsula where they were located, and which became known as Anzac, famous in the annals of war. 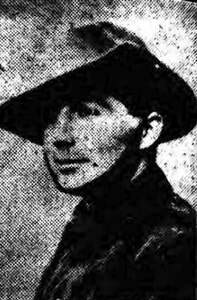 After seeing much service there from the very beginning of the operations, Lance Corporal Melling who had enlisted as a Private, and had received promotion, was invalided to this country with dysentery , and for a time was in hospital in Manchester, but later he was transferred to "The Woodlands" War Hospital at Wigan. Later he was given his furlough, being apparently better, and after visiting some friends, he came to "The Sycamores". He had not been home long, however, before he was taken worse, being confined to bed, and he died as stated. He was 24 years of age. 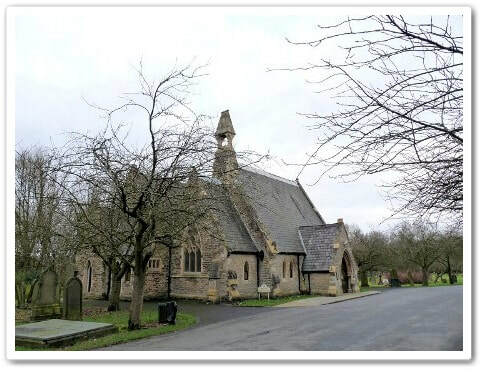 Prior to the internment a private service was held at the family residence, "The Sycamores", followed by a public service at the Wesleyan Church, Standishgate, the officiating clergy being the Rev. S. Mort, superintendent Wesleyan Minister for the Wigan circuit, and the Rev. A.E. Binks, of the Queen's Hall Mission, and two appropriate hymns being sung. A party of wounded soldiers, with about a dozen nurses, from the Woodlands red Cross Hospital, Wigan, under the command of Mr. Harold Sumner and Dr. Fred Angior, attended the service in the Wesleyan Church, later proceeding to the cemetery, where a guard of honour was formed as the deceased soldier was carried to the grave. 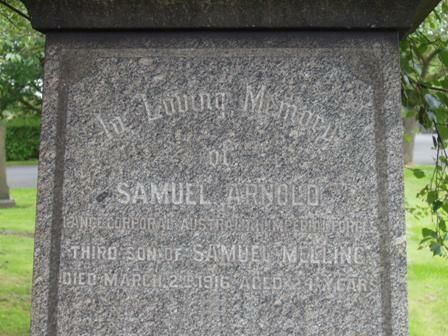 The coffin which bore the inscription, "Samuel Arnold Melling, died 2nd March 1916. 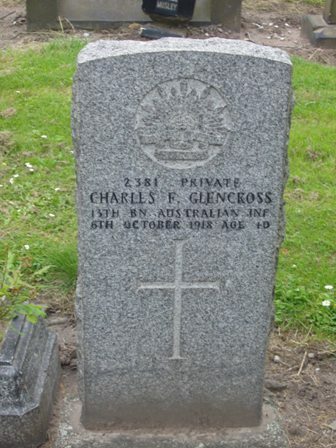 Aged 24years" was draped with the Union Jack, and the Union Jack and the Australian Flag were laid together over the hearse. The only floral tribute was a large laurel wreath from the family. The mourners present were:- 1st carriage, Mr. Samuel Melling, J.P. (father), Miss Daisy Melling, Miss Muriel Melling and Mr. Alex Melling (sisters and brother: 2nd, Mr.A. Melling, Mr. C. Melling, Mr and Mrs. Rawson (Accrington); 3rd carriage Mrs. Lamb, Miss Melling, Miss Rawson, Mr and Mrs R.G. Melling; 4th Mr and Mrs. Pierpoint, Mr and Mrs. Alexander; 5th Rev. D. Solomon, Mr. W.R. Deakin J.P, Mr Roberts (Parshore) and Mr. Worthington. ; 6th Gunner Harrison (Australian contingent) 'A' carriage preceeding the hearse contained the Rev. S. Mort and the Rev. A.E. Binks. Messrs Evans and McClure, of Wigan were the undertakers.